This week, My Tech Lab is taking a look at some of the all-in-one built desktop computers. This Review article is going to mention only five of those based on our favorites. However if you don't find any of your favorites here, you can give it a mention below in the comment box. Desktop computers that are built all-in-one have got a lot of advantages. Talking of the space they occupy, to mobility and the comfort you fell when sitting behind them. If you are thinking of purchasing a computer for your office, home or for someone else and you are considering things like space, comfort-ability, sleek design and other then read through to the end. Note however that the list of all-in-one computers below do not follow any other of any sort. 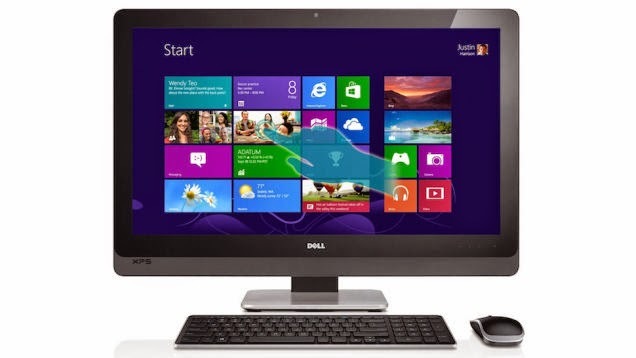 The Dell XPS 27 Touch is Dell’s flagship all-in-one, starts at $1600, and is available in a number of different pre-configured builds. All of them feature a 27″ IPS touch screen display that runs at 2560px by 1440px natively. Each model comes with an Intel Core i5 or i7 processor, between 8GB or 16GB of RAM depending on what you prefer, and your choice of a 1TB 7200 RPM HDD, or a 2TB 7200 RPM HDD and a 32GB SSD. Graphics-wise you get your choice of Intel HD graphics (in the bottom model) or an NVIDIA GeForce GT 750M. Like most PC all-in-ones, the XPS 27 ships with Windows 8.1, and can make use of the Modern UI thanks to its touch-sensitive display. Keyboard and mouse are included, as are wireless N and Gigabit Ethernet, USB 3.0, and more. Like the Lenovo, the XPS 27’s monitor arm can be adjusted so you can use the computer in multiple positions, up close and hands-on with its multi touch display, bent down like a drawing tablet, or just standing up like a standard PC display. The Dell XPS 18 All-In-One is a bit of a combination of desktop and tablet, although it’s certainly more desktop. It starts at $700 and goes up to $1300 depending on whether you want a stand (or you want to make do with the built-in kickstand.) Each model packs an 18″ IPS touch screen at 1920px x 1080px resolution, your choice of Intel Core i3, i5, or i7 processor, 4GB or 8GB of RAM, the option of 500GB or 1TB 5400 RPM HDDs or a 256GB SSD, all models come with Intel HD 4400 Graphics, Windows 8.1 pre-installed, and an included keyboard and mouse. Each model also includes wireless AC, USB 3.0, a built-in camera, speakers, and more. Perhaps best of all, the system doesn’t have to stay mounted on its stand, or even plugged in—you can take it with you and use it on the couch as long as the internal battery holds out, or pack it up and work on the go. 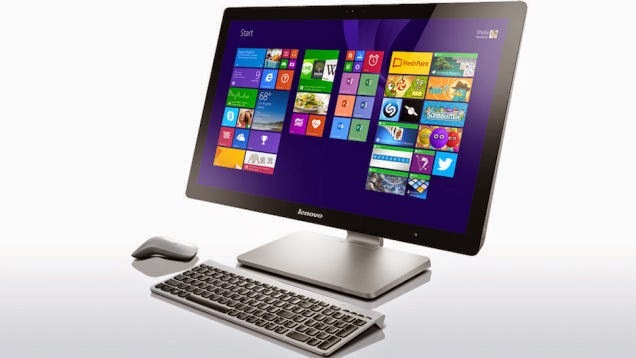 It’s a remarkably versatile all-in-one that’s still running Windows 8.1, so you can work with it like a tablet, use it like a desktop, or switch on the fly depending on what you need to do. Those of you who nominated it said it was a bit like an “iMac for the Windows crowd,” offering sleek design and good looks on your desk, but that also comes with the flexibility of a tablet or a hybrid tablet/laptop. Many of you also mentioned that it comes with a digitizer pen, so it’s even more flexible. As with every model in the roundup, you can start with any of the base systems, and then add or tweak the build to your heart’s content before it ships to you. 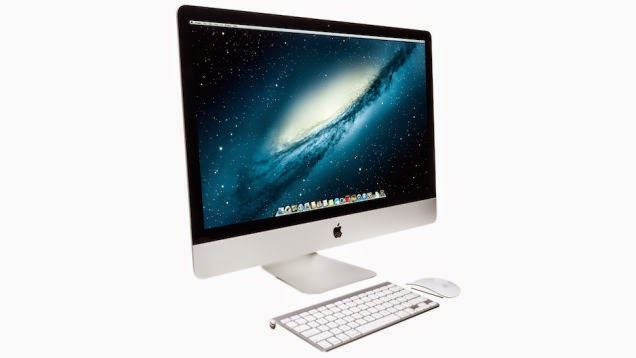 When many people think of all-in-one PCs, they immediately think of Apple’s iMac line of computers. At the top of that line right now however is the iMac with Retina Display, starting at $2500 and packing a 27″ IPS display at 5120px x 2880px native resolution, your choice of an Intel Core i5 or i7 processor, 8GB of RAM (upgradable to 16GB or 32GB), a 1TB “Fusion” Drive (Apple’s hybrid SSD/HDD, upgradable to larger capacities or a 1TB SSD), an AMD R9 290X/295X graphics card, and just about everything else you would expect in an iMac (built-in camera, included peripherals, USB 3.0 and Thunderbolt 2 ports, wireless AC and Gigabit Ethernet, and more.) All of the hardware options are configurable and upgradeable (for more money, of course) so you can either buy off the shelf or build the model you want. The Retina iMac is stunning if you’ve seen one in person, and of course, comes with OS X Yosemite and Apple’s suite of productivity apps for work and home use. Those of you who nominated the Retina iMac praised it for being a high-resolution, “5K” display that just “happens to have a computer attached,” since most displays with similar resolutions are close to this price on their own, no computer attached, or a desktop with the same specs will run you a similar price, no monitor attached. Some of you offered proof of the fact in the nominations thread, while others of you pointed out that the resolution is probably a bit excessive for most users at this stage. Either way, the thread is full of first-hand experiences and worth checking out. Lenovo’s flagship All-In-One PC starts at $1600, has a 27″ TFT full HD multitouch display at 1920px x 1080px native resolution, an Intel Core i7 processor, 8GB of RAM, a 1TB 5400 RPM HDD and an 8GB SSD, an NVIDIA GeForce GT840A graphics card, built-in webcam, audio, wireless AC, USB 3.0, and more. The hardware option are, like any custom system, upgradable and customizable, so you can add more memory or a different hard drive if you choose, for additional cost. The A740 ships with Windows 8.1, and because it has a touch screen, you can actually make use of Windows 8’s Modern UI features. The display arm is also jointed in multiple places, so you can stand it up like a traditional monitor and use the included keyboard and mouse, or you can angle it closer to you to use the touch screen, or you can bend it down like a tablet or a drawing tablet so you can interact with it up close or with a stylus. The nomination thread for the A740 was a little contentious, with a few people saying they loved this system, especially once some of the base components (like RAM and storage) were upgraded to better, speedier parts, while others of you noted that while the system looks great on paper, you had some issues with reliability and customer service—one of you even had quite the horror story to tell. 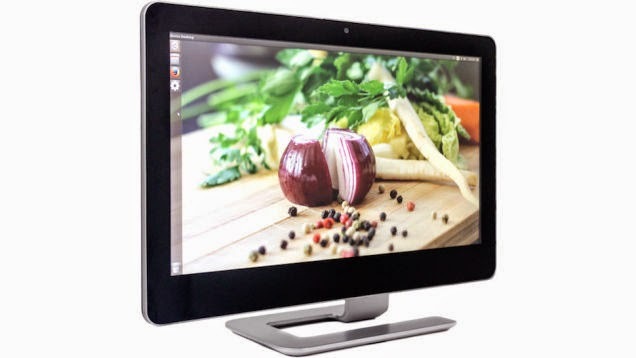 System76 is a manufacturer of pre-built Ubuntu laptops and desktops, and the Sable Touch is their Ubuntu-powered multitouch all-in-one desktop. Starting at $1000, the Sable Touch is available in both 21.5″ and 23.6″ models, each TFT panels with a native resolution of 1920px x 1080px. You have your choice of Intel Core i5 or i7 processors, 4GB to 16GB of RAM, your choice of 250GB-750GB 7200RPM HDD or 128GB-1TB SSD, external displays, peripherals, and more. Unlike many AIOs in the roundup, you don’t get a keyboard, mouse, or other peripherals with the system—you have to add them at extra cost when you configure your build—but that also helps keep costs down. Almost every part of the build can be customized to some degree, including the version of Ubuntu you get pre-loaded on the system. The Sable Touch also comes with other things you’d expect from an all-in-one, like a built-in webcam, Wi-Fi (AC) and Gigabit Ethernet, and more. It’s a good-looking system to boot. Those of you who nominated it praised the Sable Touch for being a true multitouch Linux desktop that brings all of the great looks to the party that any all-in-one PC can offer.